The N3200XXX is powered by an Intel Atom N270 processor for excellent system response and file transfer speed. 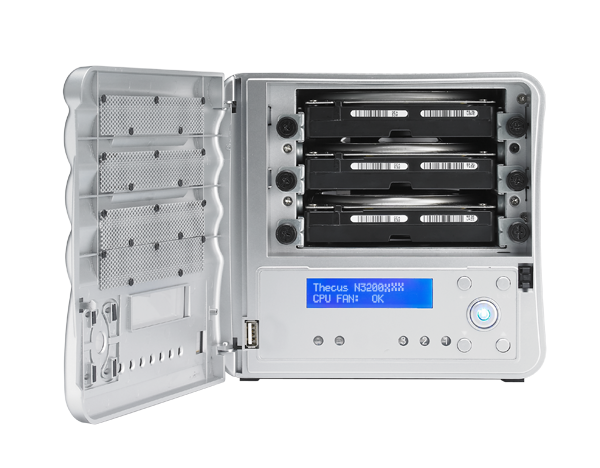 With RAID 5 and vastly improved data throughput, the N3200XXX redefines the three-bay NAS once again with increased usability, functionality, and performance. 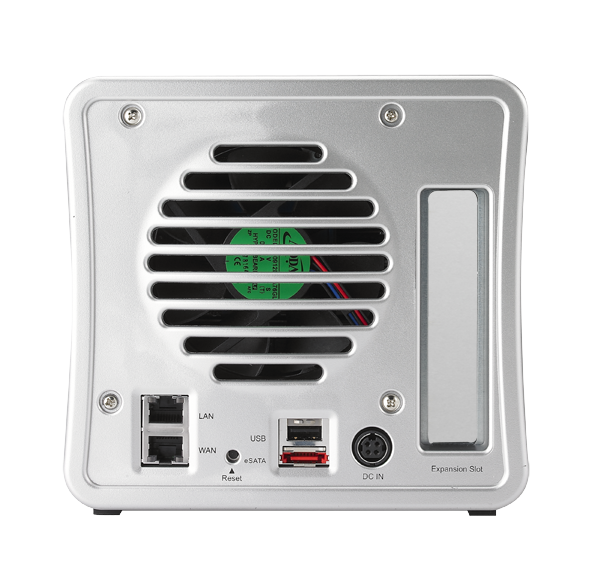 N3200XXX supports scheduled power on/off. With this feature, users can set what time the system turns on or off. This feature is a big plus for people who want to conserve energy. 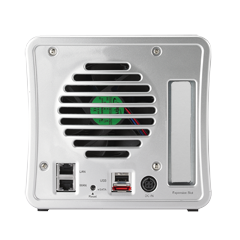 Wake-On-LAN enables users to remotely turn the system on without leaving their seat. 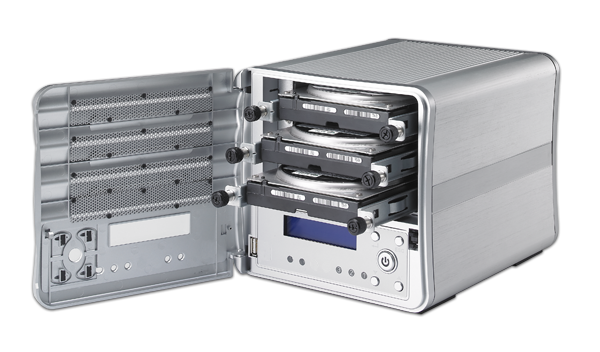 Managing RAID volumes has never been easier thanks to the N3200XXX's Online RAID Volume Management. Administrators can easily expand or migrate RAID volumes without having to power down the system, eliminating costly downtime. Remember when you first brought home that brand CD player? How about the DVD player for your living room TV? 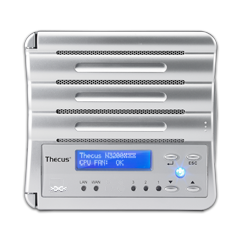 Now add to that list the Thecus N3200XXX NAS. 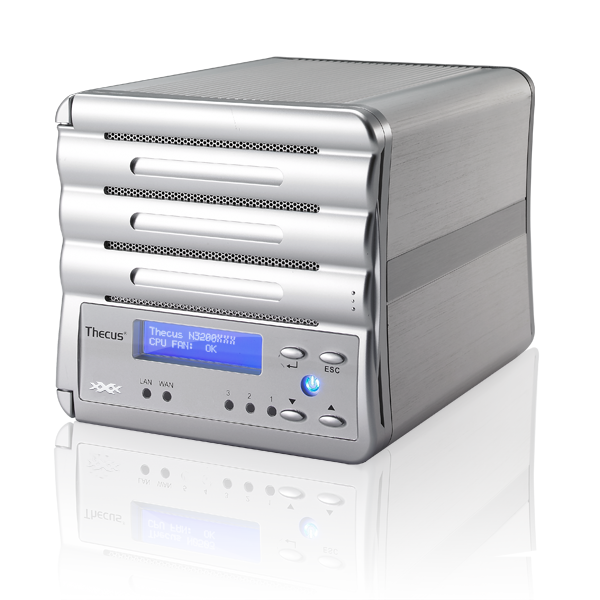 Advancements in multimedia storage have changed the way people share and enjoy life. 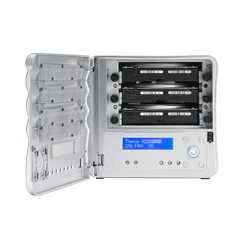 Now, with amazingly flexible access and features that bring everything together, your work, entertainment, and memories can all be safely kept where you need them and retrieved when you want them. 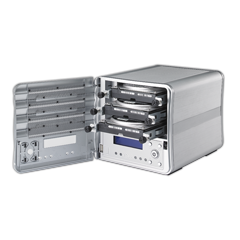 The 3-bay N3200XXX NAS is just the right size to store all your data: photos, music, and videos for example. Once safely stored, everything can be accessed not only from anywhere in the house, but anywhere in the world! 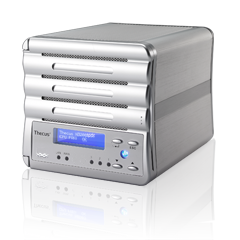 From your NAS, you can play MP3's in your bedroom (or in your hotel room in Rome), show photos on your digital picture frame in your den (or in your friend's den in New York), or gather the family to watch HD movies on the TV in your living room (or on your laptop in the airport in Hong Kong). With the N3200XXX's high speed Intel Atom processor, all of these great features can be accessed simultaneously by multiple people in multiple places. 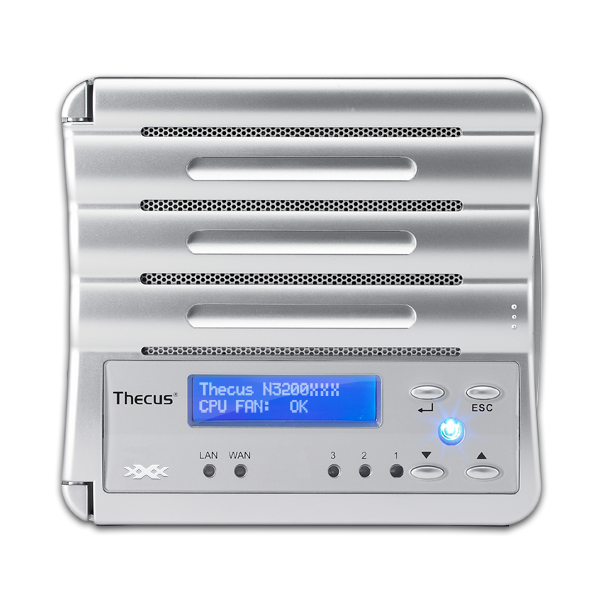 Accessing your data has never been simpler, and sharing photos with your friends and family has just taken a leap into the future with the brand new Thecus photo server, Piczza. With all of these amazing features and rock solid data protection, your multimedia and data will be available, shareable, and safe for a long time to come! System FAN speed controlled by temperature.